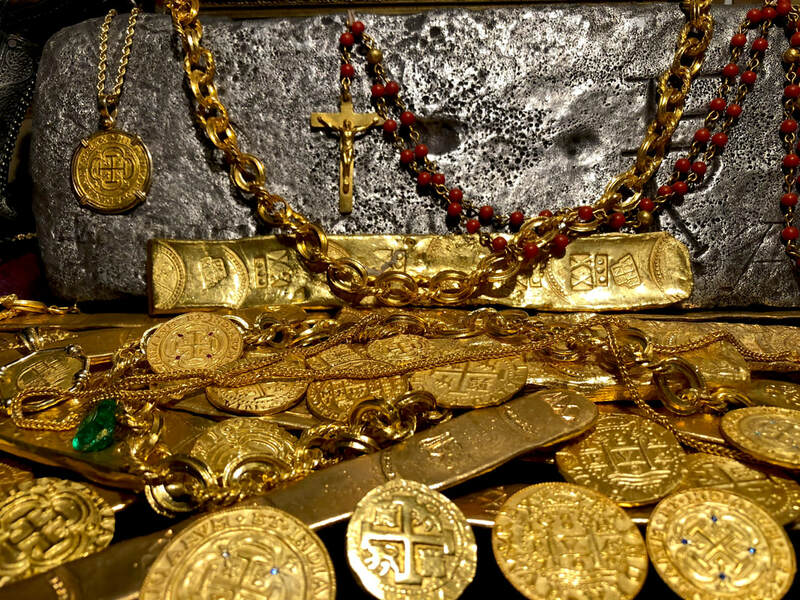 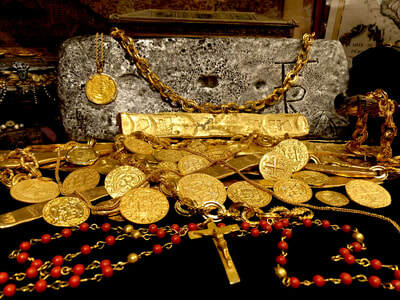 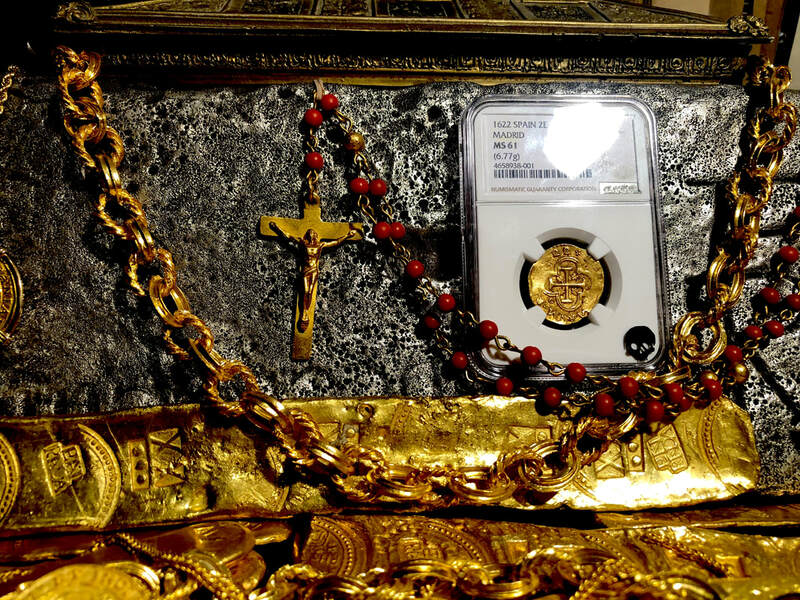 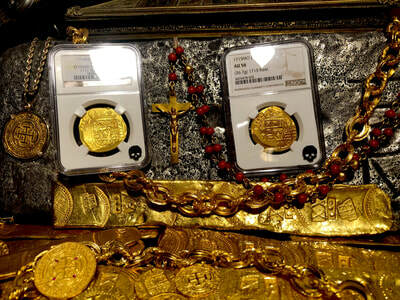 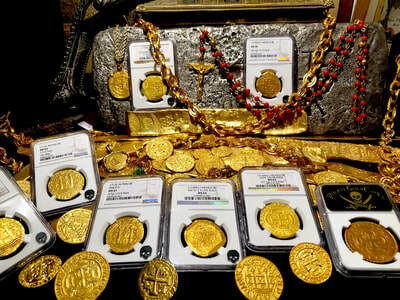 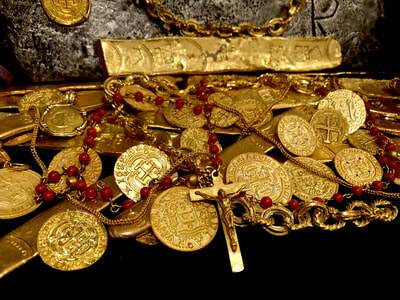 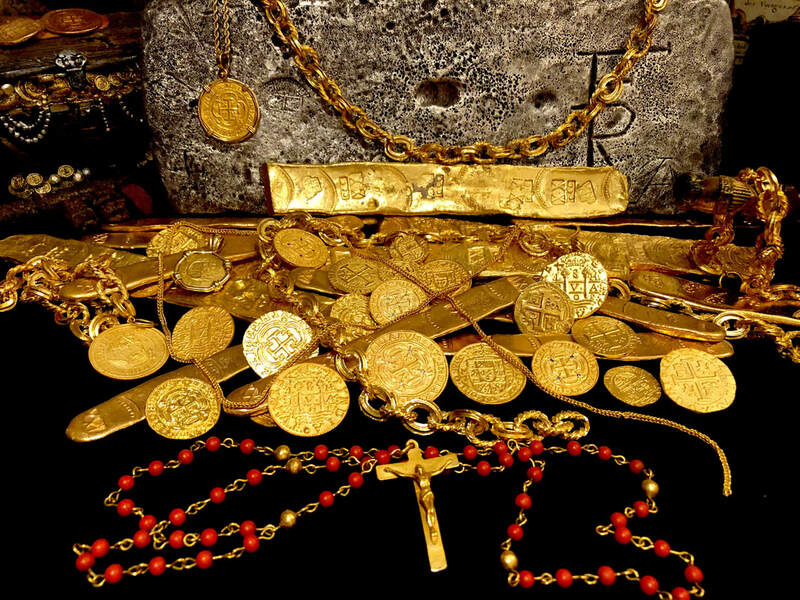 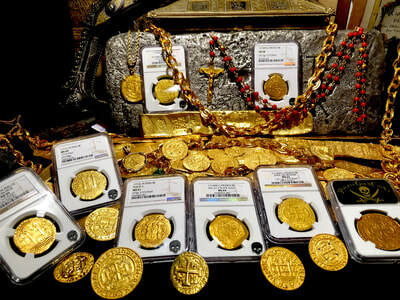 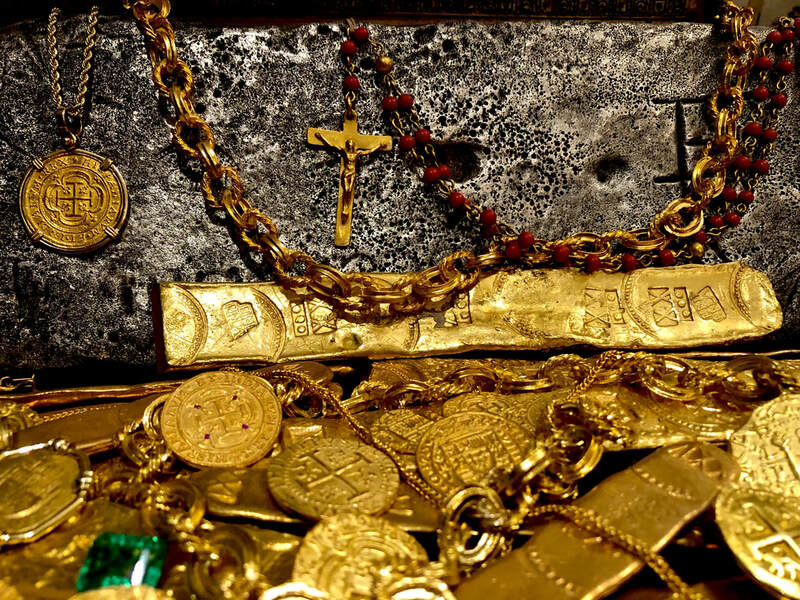 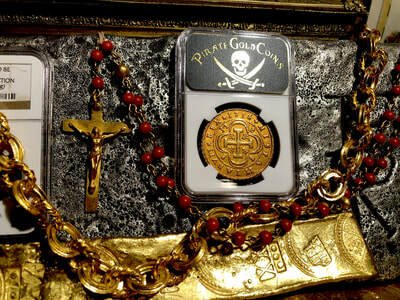 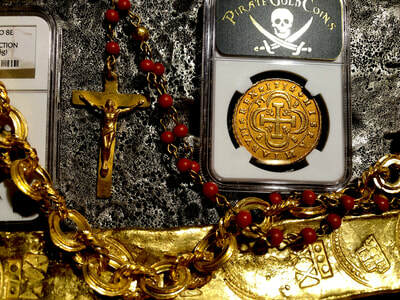 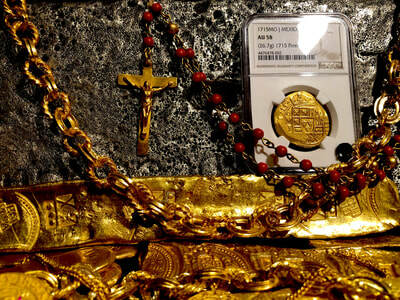 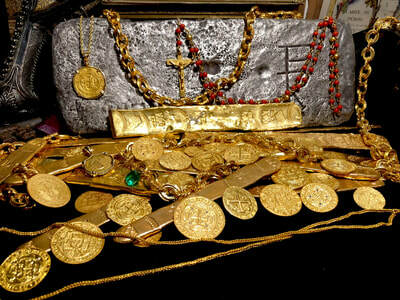 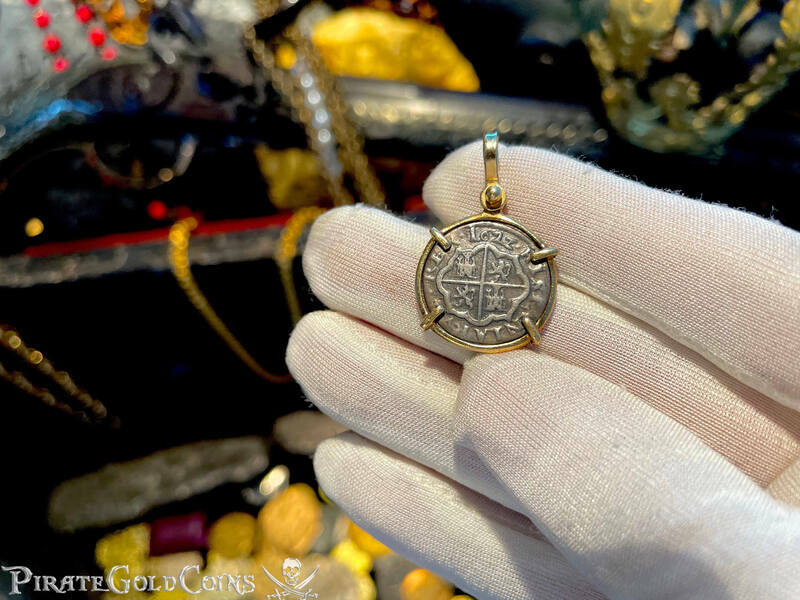 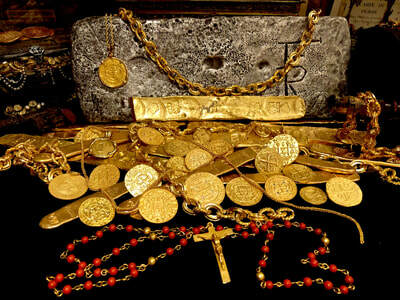 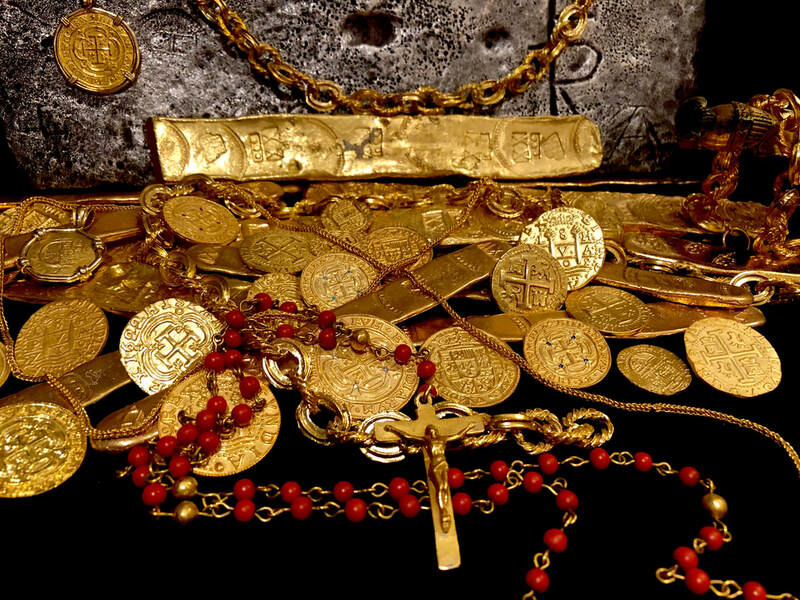 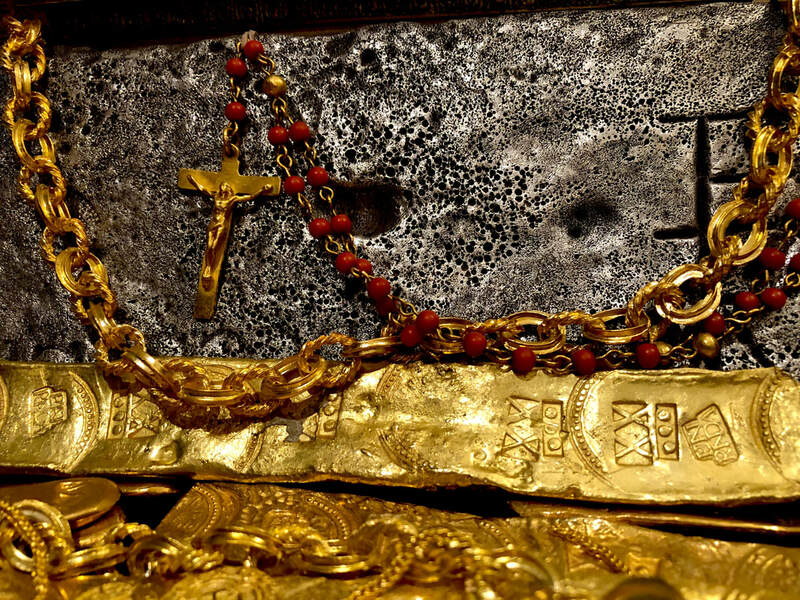 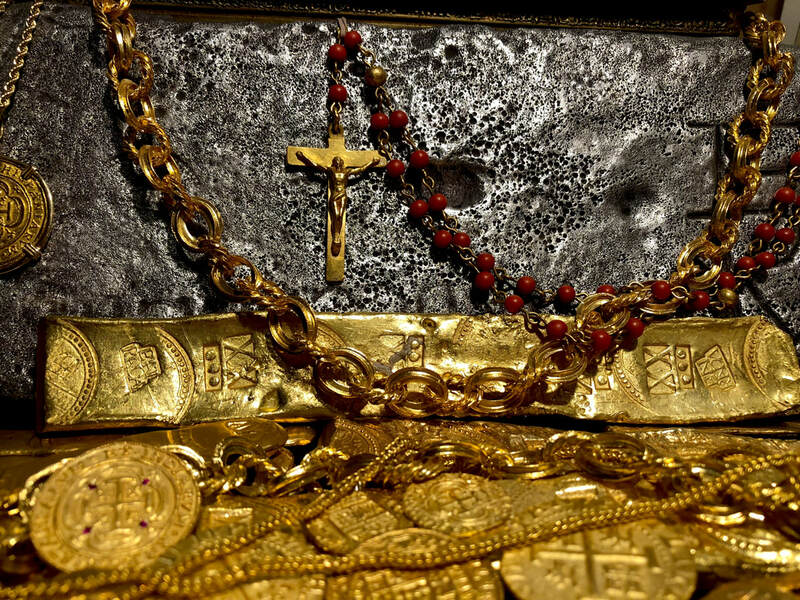 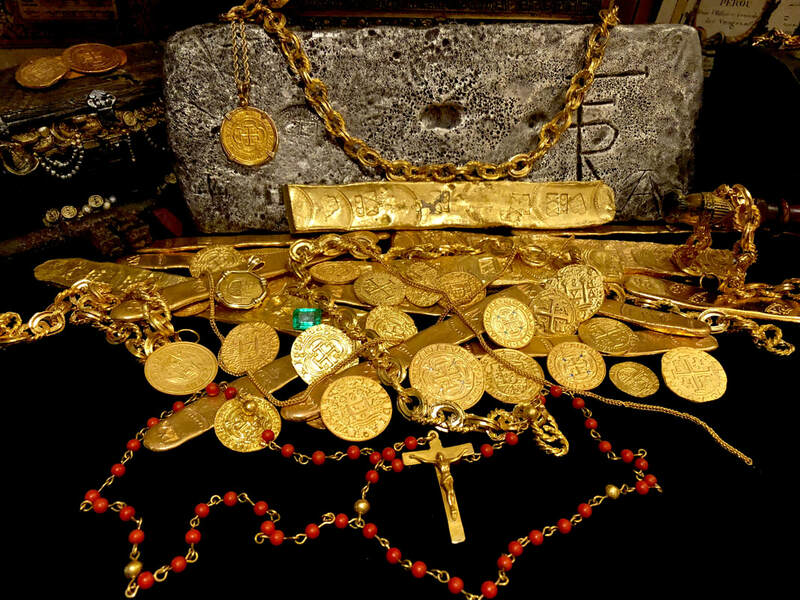 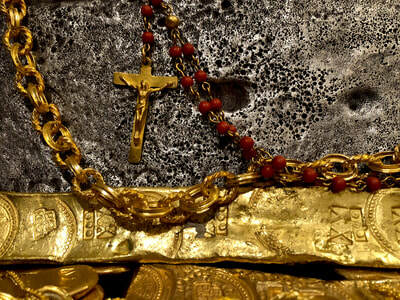 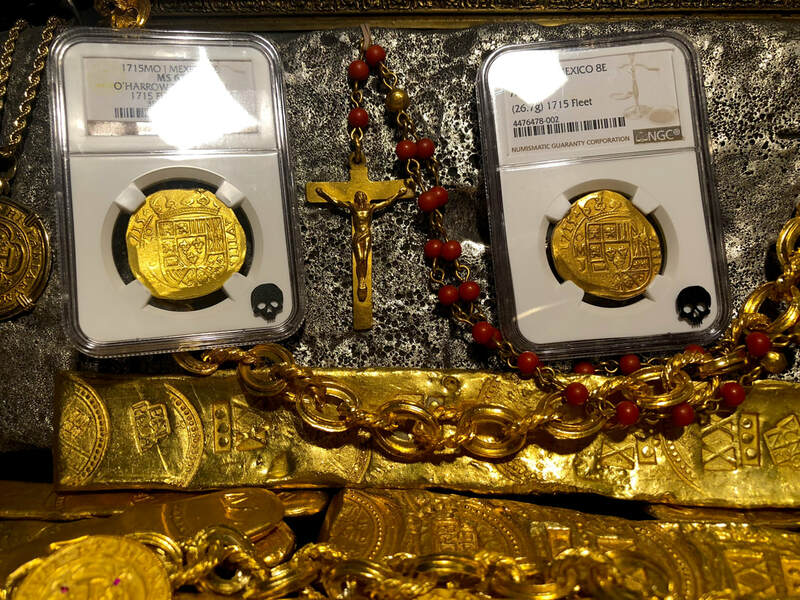 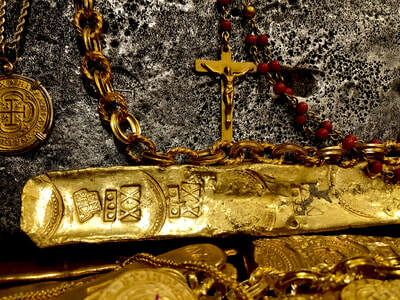 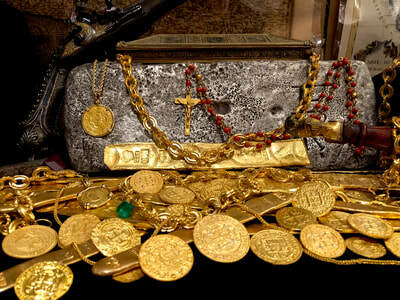 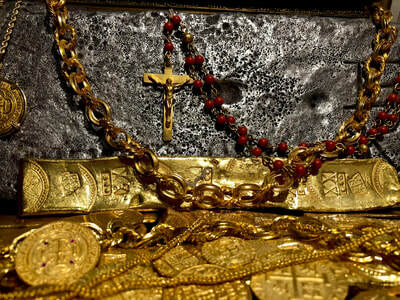 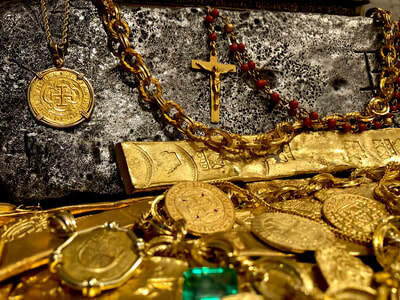 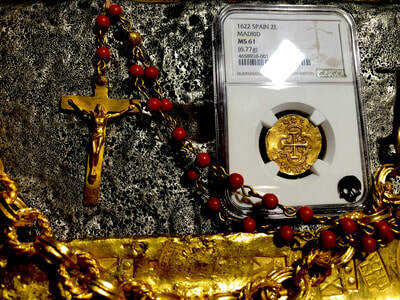 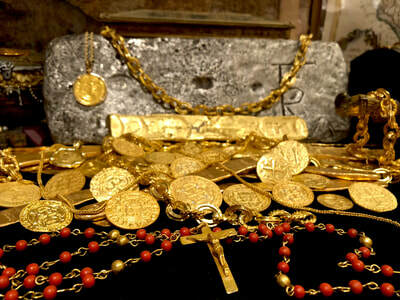 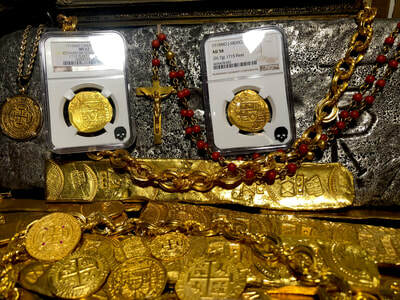 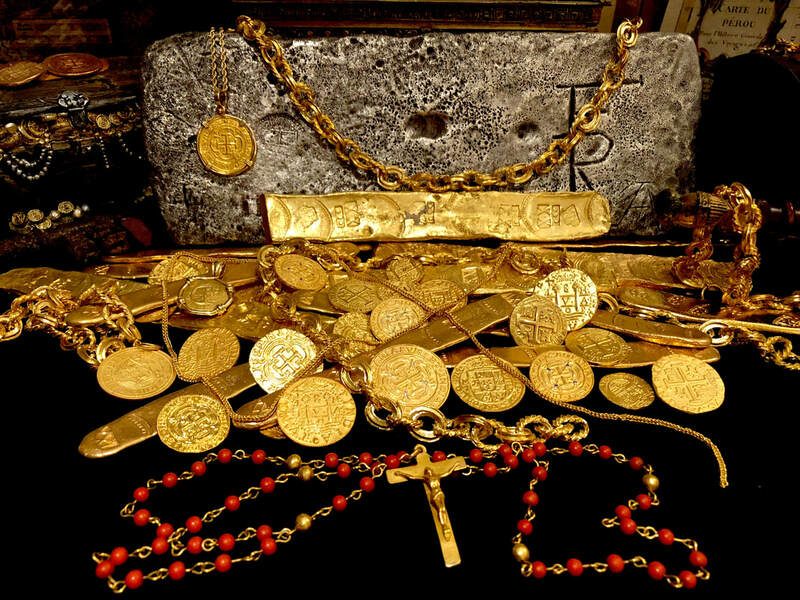 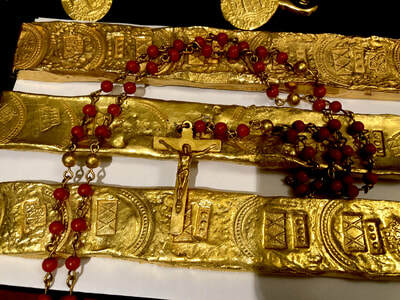 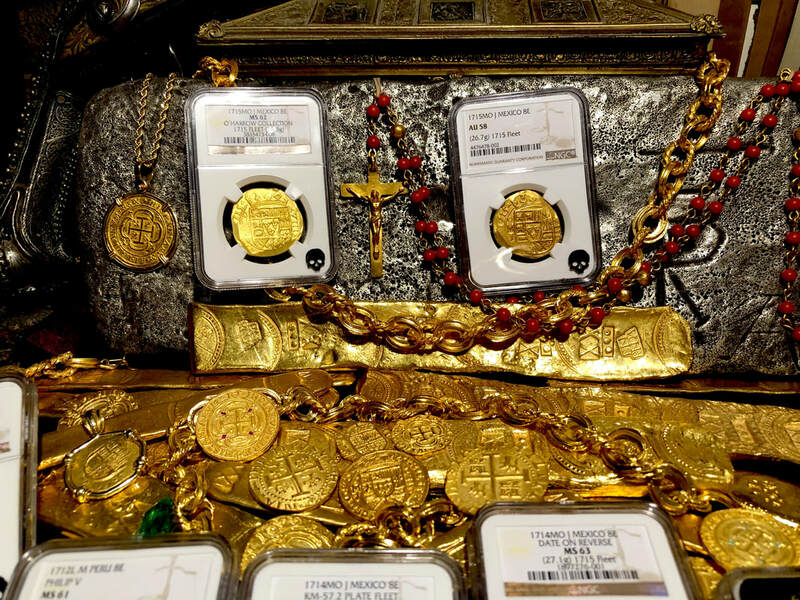 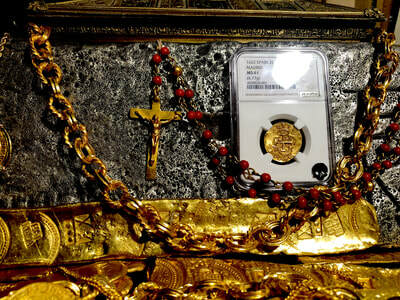 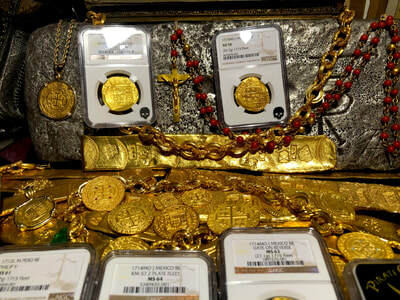 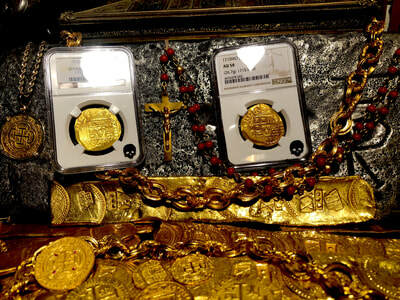 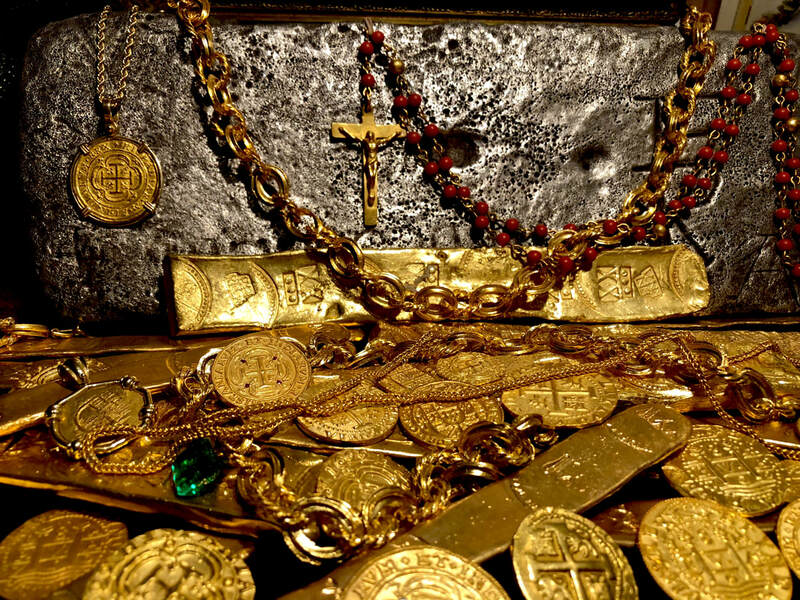 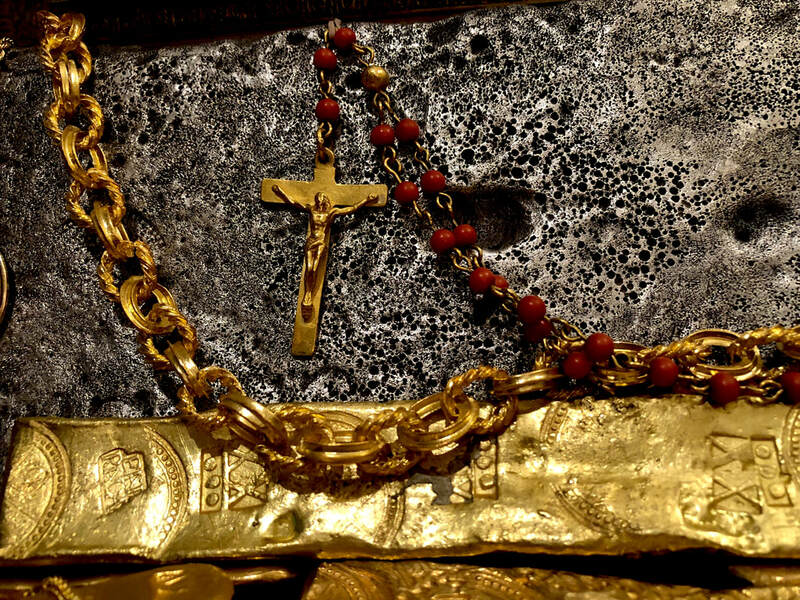 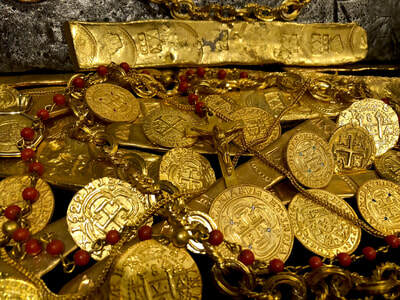 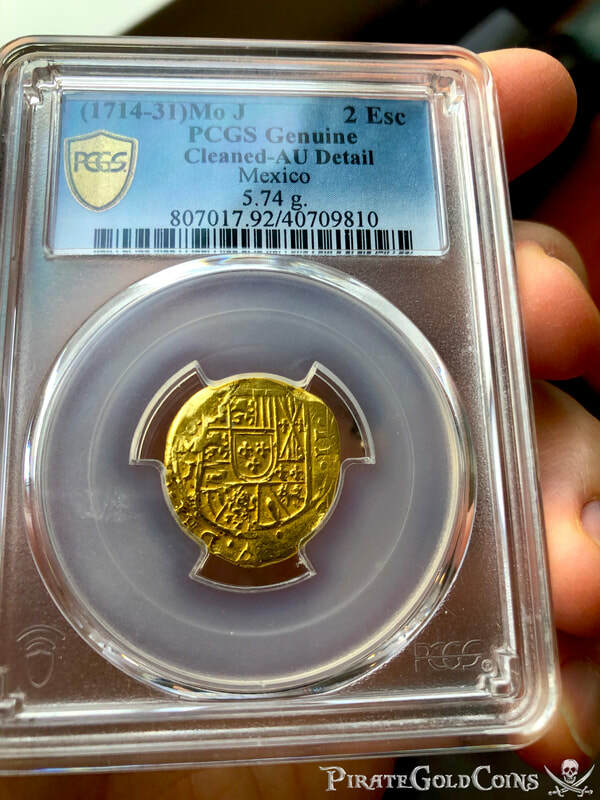 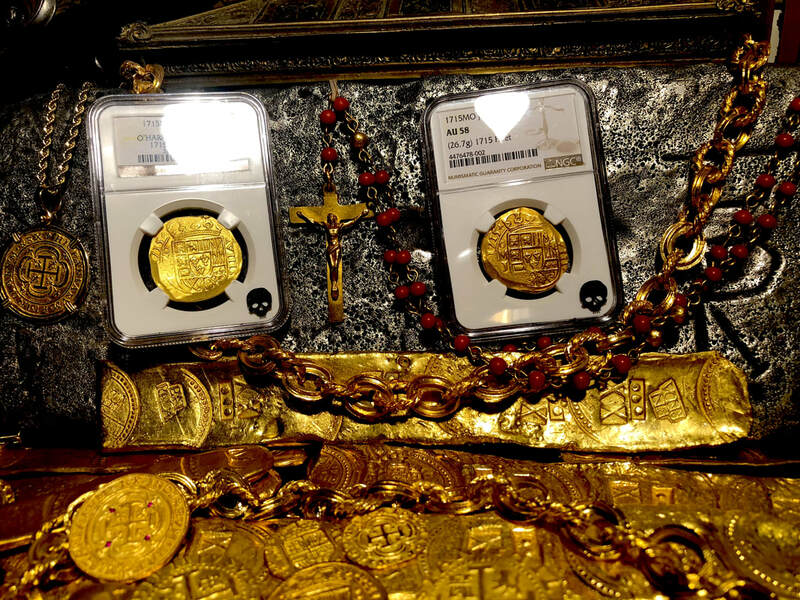 1715 FLEET GOLD & CORAL ROSARY w/ CRUCIFIX PIRATE TREASURE MEL FISHER ATOCHA Mel Fisher's crew (known best for both the Atocha & 1715 FLEET Treasure Hunters), top Archeologist “James Sinclair” COA (Certificate of Authenticity) and Leah Miguel, who also did Appraisal (see enclosed) for $150,000 back 21 YEARS AGO!!! 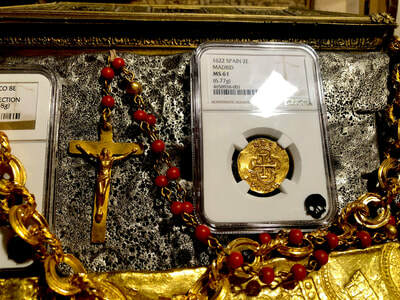 Leah was mentored by curators from both Sotheby’s (in London) and Christie’s of NY (see attached appraisal). 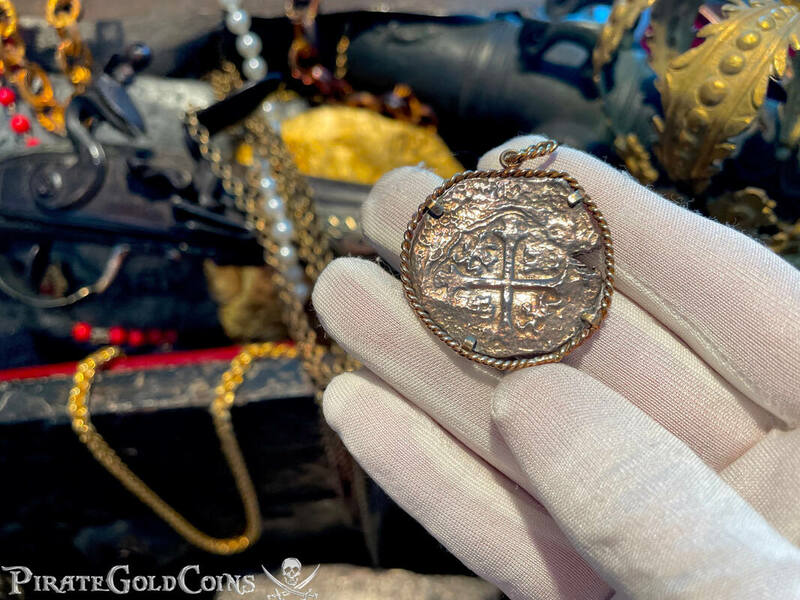 James Sinclair was also the Archeologist on the recent History Channel show “Cooper’s Treasure.” He was on the last episode in 2017 when they found “Christopher Columbus’ Anchor” in the Turks – Cacaos (yes literally Christopher Columbus’ anchor from original voyage (Nina, Pinta & Santa Maria). 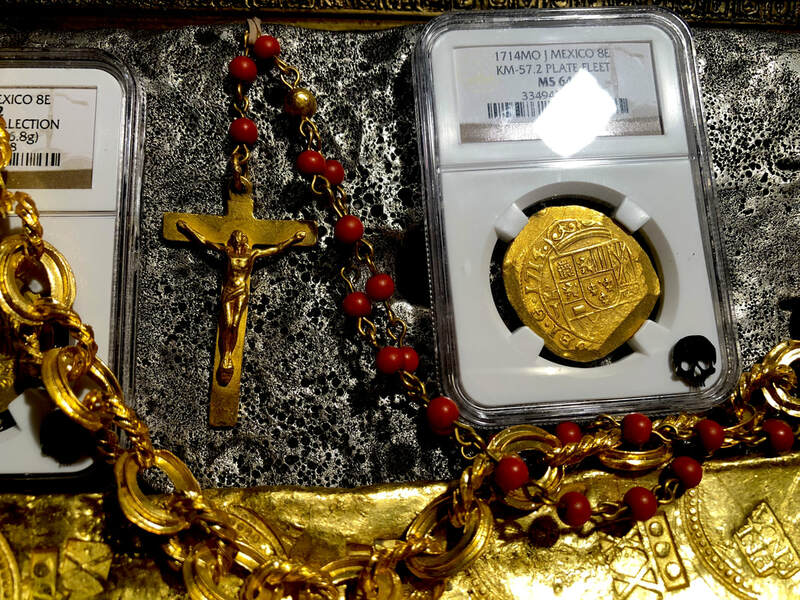 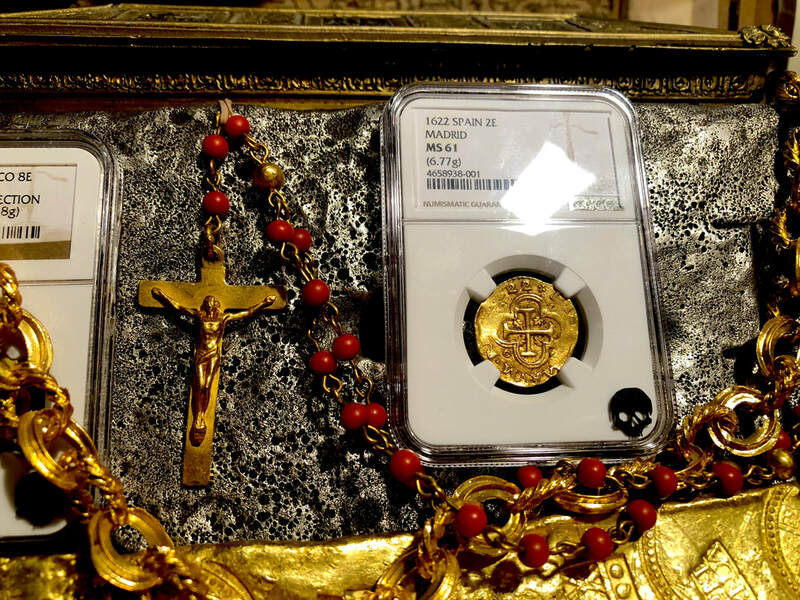 We’ve also posted a Video showing the discovery of this very Rosary enclosed in the “Golden Box,” along with some Gold / Gemstone Rings (Travel Channel 2003), story below. 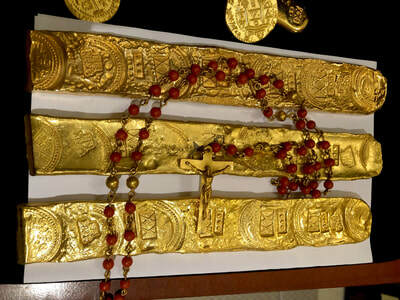 This completely intact Rosary is 34” long and weighs approx. 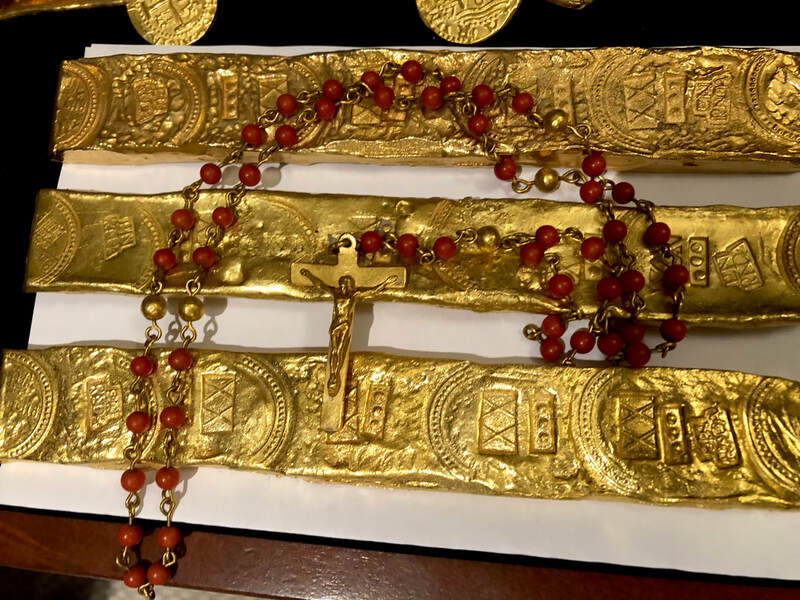 61gm, it’s made up of 53 (5mm) spherical Coral Beads (known at the time as “5 decades of Coral beads”) and 5 (7mm) GOLD spherical Beads, at the point where it meets, drops down to 1 Golden and 3 Coral beads, is a PURE GOLD CRUCIFIX with the raised body of JESUS CHRIST (2” x 1 3/16”). 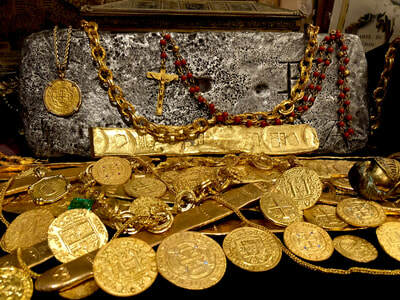 It was discovered near Wabasso, FL (near Turtle Trail) by Mike Maguire (as seen in Travel Channel episode). 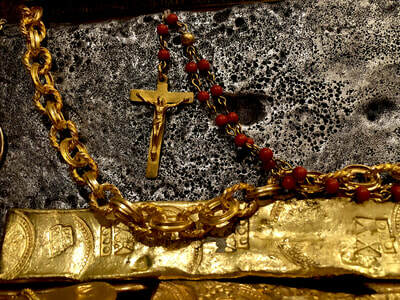 This Rosary is Religious Jewel. 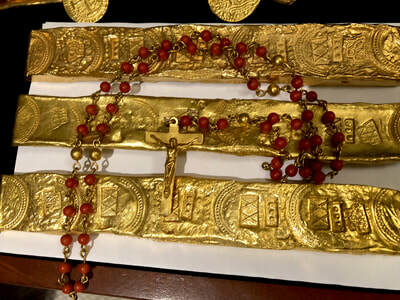 It was believed that Red Coral was a popular constituent and protected against magic spells, going back to Greek mythology, they gave red coral’s it’s origin as “the spurts of Blood that gushed forth when Medusa’s head was cut off by Perseus.” These Rosaries were very popular with SPANISH ROYALS (such as QUEEN JOANNA (JUANA LA LOCA) and were highly prized by Royalty! 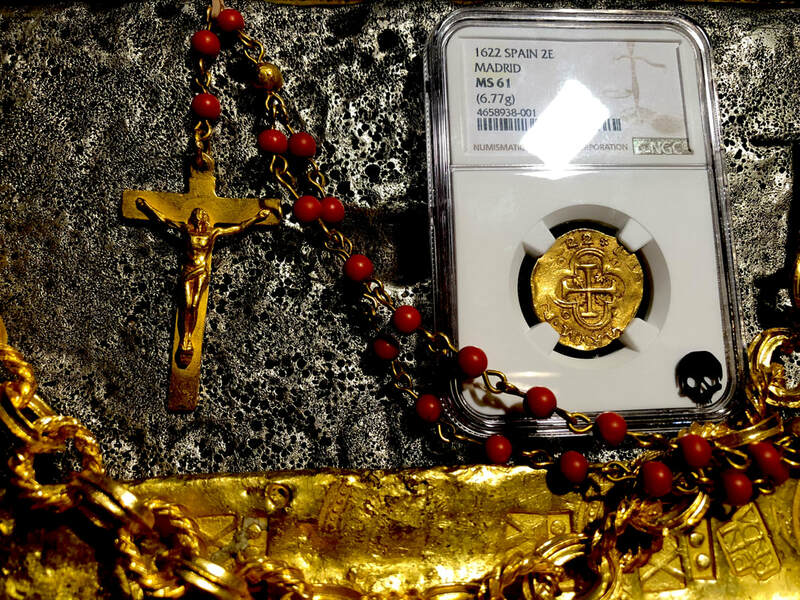 This VERY ROSARY could very well have been destined for the New Queen (Elizabeth Farnese) King Phiiip’s (V) new Queen, as Philip need a new Queen’s Dowry, required by Elizabeth in order to Consummate the Marriage. Obviously these jewels never made it, but she married him irregardless and provided 7 children (see below for complete 1715 FLEET historical summary). 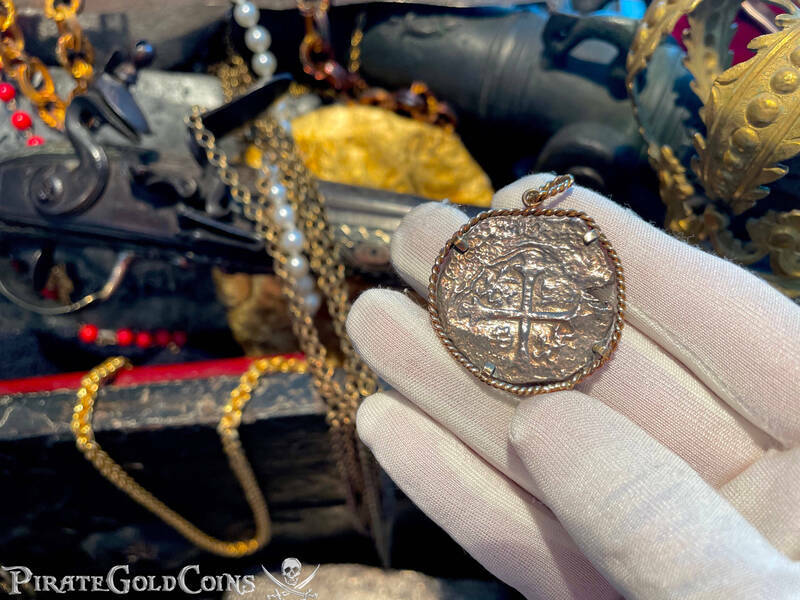 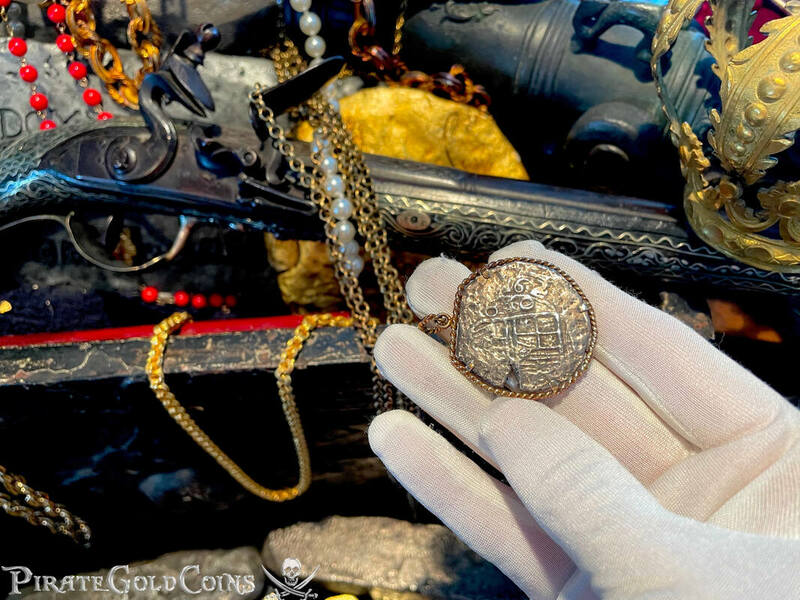 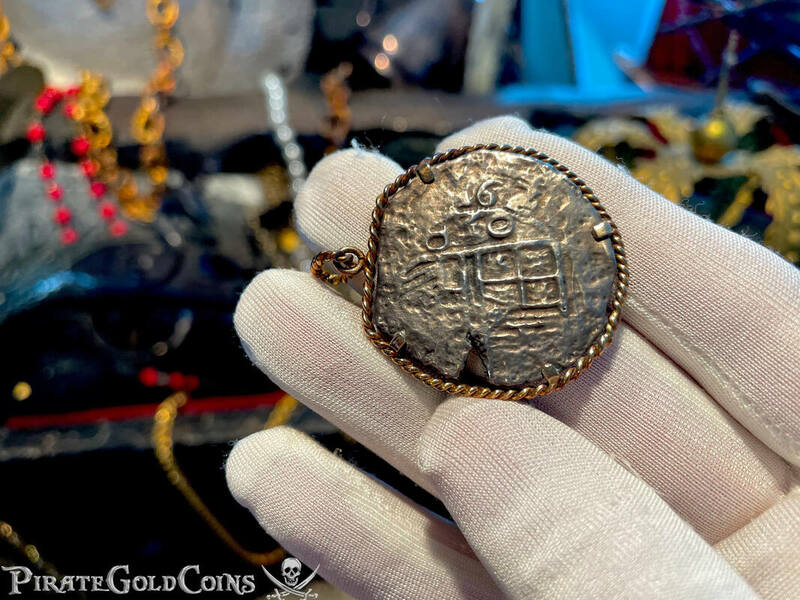 Of course much of the Gold and jewels on these Fleets also belonged to the Church, so this piece may very well have belonged to a Priest or Bishop and or even the Church itself. However, it should be noted much of the “Queen’s Jewel’s” (incredible diamond brooches and earrings) have been recovered near this same area of the Golden Box & Rosary (and rings).